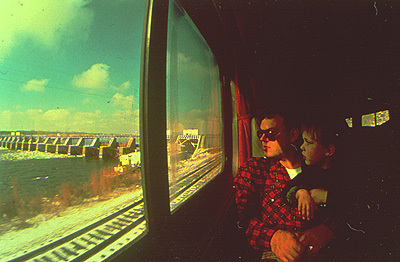 Do you have a photo of passenger rail travel in Michigan you would like to share? MARP is accepting photos to be featured in this gallery and on the front page of this website. Photos showing passengers and examples of modern passenger train travel accomodations will receive the highest consideration. Photos should be of high resolution such as digital photos taken from a 2 megapixel camera or higher or photos scanned at greater than 200 dpi. Copyrighted photos cannot be considered without a release form. Please do not add a border, signature or writing on the photo. Please write a brief description of the photo including who is in the photo (if possible), where it was taken, when it was taken and what is happening in the photo. Don’t forget your name so we can give you proper credit for your work. Email your high resolution photos to info@marp.org and we will consider featuring it on this website.